What did it mean when Rep. Dave Loebsack voted for H.R.8, the Job Protection and Recession Prevention Act of 2012, on Wednesday, Aug. 1, one of 19 Democrats to join the Republicans who supported the bill? Only that Dave Loebsack will continue to stand for the values of middle class Iowans and small businesses, and be our voice in Washington. H.R. 8 would extend the so-called Bush tax cuts to everyone for an additional year. President Obama wants something better, to extend the tax cuts for one year for everyone except the wealthiest two percent of Americans, and for 97 percent of small businesses. 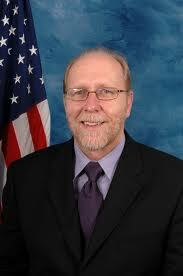 Some liberals were quick to pounce on Loebsack for his vote, saying he should have sided with Democrats. They may not have been aware that Loebsack also voted for the Democratic version of the tax relief bill. As for me, I am keeping my powder dry for the real fight during the lame duck session, because Loebsack did stand for Democratic values last week. The vote on H.R. 8 and its Democratic alternative was political theater and will likely be rendered moot by the Nov. 6 election. For now, the partisan lines are drawn on taxing the wealthy, and an easy prediction is that nothing will happen on the Bush tax cut expiration until the lame duck session. Loebsack’s vote seems more a marker about where the consensus builders will land on the final vote. In the zero-sum game of voting lockstep with the party, it is good to see Loebsack actually working with other members to get something done to protect the interests of the middle class. Loebsack was one of two Democrats who voted for both the Republican and Democratic versions of how to deal with the tax cut expiration. He also introduced his own bill, H.R. 6262, the Middle Class and Small Business Tax Relief Act, to amend the Internal Revenue Code to provide tax relief to middle-class families, small businesses and family farms. H.R. 6262 is close to President Obama’s proposal and would fix the expiring tax cuts. If the Bush tax cuts expire without relief, those hurt most by the expiration would be members of the middle class, who would see a substantial tax increase. Based on his actions, Loebsack sides with the middle class, even if it means voting for an extension of the Bush tax cuts for everyone is the only possible political solution. Of course he would vote for H.R. 8. Doing nothing carries too high a price. Behind the bluster and misinformation of society are found people like Congressman Dave Loebsack, doing the work we sent him to Washington to do, to be our voice for change, protecting the middle class in the toxic environment that is the 112th Congress. His vote on H.R. 8 was just one more example of that. This entry was posted in Barack Obama, Bush Tax, David Loebsack and tagged Bush Tax Cuts, Congressman Dave Loebsack, dave loebsack, H.R. 6262, H.R. 8, Loebsack. Bookmark the permalink. Lockstep is no step at this point. I like Dave’s decision, it’s thoughtful.